In response to the growing demand we offer high end short stay and self catering apartments in Rotterdam with one, two or three bedrooms in the Hoge Heren, Montevideo, New Orleans and Markthal buildings. Allow deployed staff members to live as much as they do at home, preparing meals in their own fully equipped kitchen, relaxing and enjoying the apartment and surroundings with it’s entertainment venues. 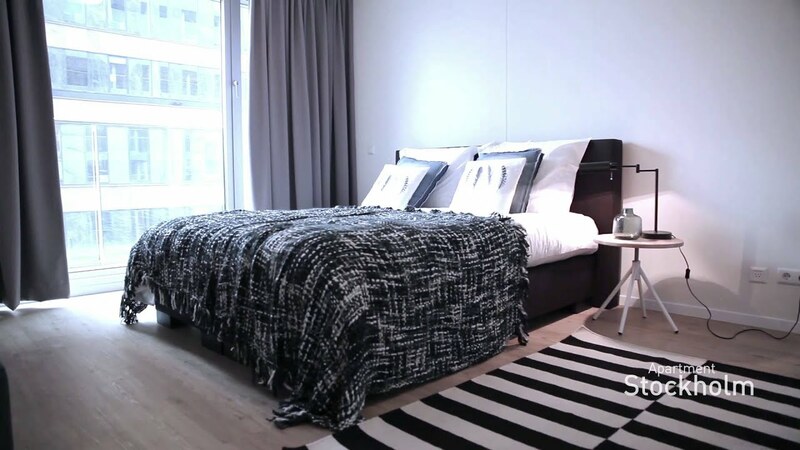 Our Short stay apartments in Rotterdam are fully furnished self catering apartments, which could be rented for 1 month, a short period, or longer. Short Stay serviced apartments offer a welcome and increasing alternative to hotels for the corporate traveler, giving you a feeling of home. Our luxury apartments make a great alternative to hotels, offering lower costs, more space and comfort. Please contact us for the availability. A Riva Short Stay apartment is an excellent temporary home for your staff for either shorter or longer periods. For the employer and the employee a Short stay apartment brings many advantages. The hectic search for a high quality apartment is now over. This saves you time and a lot of stress and with this type of accommodation your staff will be more then satisfied. Definitely a win-win situation for everyone. The costs for the apartments per night are comparable to hotel accommodation. However, instead of 30m2 impersonal space, your staff have an average of 120m2 of living space at their disposal. Our apartments are centrally located within walking distance of all facilities (public transport, shops, restaurants etc.). In response to the growing demand we offer high end short stay and self catering apartments in Rotterdam. Allow deployed staff members to live as much as they do at home, preparing meals in their own fully equipped kitchen, relaxing and enjoying the apartment and surroundings with it’s entertainment venues. Our Short stay apartments in Rotterdam are fully furnished self catering apartments, which can be rented per day, week or month, for a short (or longer) period. Short stay apartments offer a welcome and increasing alternative to hotels for the corporate traveler, giving you the feeling of home. Our luxury apartments make a great alternative to hotels, offering lower costs, more space and comfort. You work regularly with expatriates in or near Rotterdam – people who are working temporarily (on a project basis) in the Netherlands and for whom housing accommodation has to be found. You believe that this accommodation ought to meet certain demands in terms of comfort and service, even luxury, while the costs remain manageable. A pleasant environment, a central location and good parking facilities are valuable elements. In addition, our residents have all kinds of (internal) amenities to their disposal, such as a swimming pool with a jacuzzi, gym, sauna, Turkish bath, work units, a central lounge with a stylish interior, a sunny roof garden, and a parking garage. The rental apartments of Rotterdam Short Stay are all located in the popular and stylish area’s and close to the city centre. The chic ''Scheepvaartkwartier'' and ''Wilhelminapier'' with his unique ‘’New York-feeling’’ and a wide range of shops, restaurants, theaters, the museum park, the watertaxi and Hotel New York. By renting a short stay apartment in the residential towers ‘’Hoge Heren'', ''Montevideo'' and ''New Orleans'' you have free entrance to the Healthclub facilities like swimming pool, fitness and sauna. The city centre is very easy to reach by foot or by bike. And so is access to public transport: The spectaculair renovated Rotterdam Central Station and the ‘’Leuvehaven’ and ‘’Wilhelminapier’’ underground station are only a few minutes’ walk away. The Airport is 15 minutes away by car. During the check in you will receive a small welcome package including a map of the city to guide you. Our agent will also be available to help you throughout your stay.